We are what we read. Well, if that’s the case I am a hopeless romantic with Victorian ideals living in a world who has lost faith in all of those. Over the past several months, I have joined in the blog reading craze. In one of the blogs I follow, literary agent Nathan Bransford asks readers what they think is the most influential book of all time. As part of his build up to this, he references another blogger who listed the books that most influenced his world-view. This got me thinking about what would be on my list. Which got me thinking about the people who wrote them. I have read many books over the course of my arguably short life. My parents started reading to me at a young age and I would fall asleep to the sound of storybooks on tape. As soon as I learned how to read on my own, I hit the ground running and haven’t looked back. Throughout my career as a reader, I have developed an affinity for certain writers. Several of these writers have stayed with me for many years and now, as I embark on my career as a writer, I have begun to notice how they influence my ideas as both a reader and a writer. Dad: Some of my earliest memories are of visiting my father at the local newsroom where he worked. Being a reporter seemed like such a glamorous job (I have since learned that it is not). 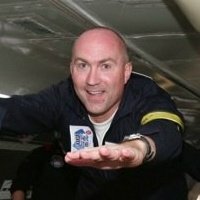 As a grew older, I began to recognize that my dad was really good at his job. In a time when most reporters would rather sensationalize a limited number of facts, my dad maintained the old-school ideas about factual, un-biased reporting of stories that people need to know about. As I go through my own writing, I hope I can have as much care for details and the same gift for storytelling that he has. Jane Austen: My heroine! It is no secret to anyone who knows me that Jane Austen is one of my favorite writers. I can’t help but admire a woman writing in a man’s world about women. The English major in me has a whole list of reasons why she’s a brilliant writer. But, rather than bore you with that, I’ll keep it simple. 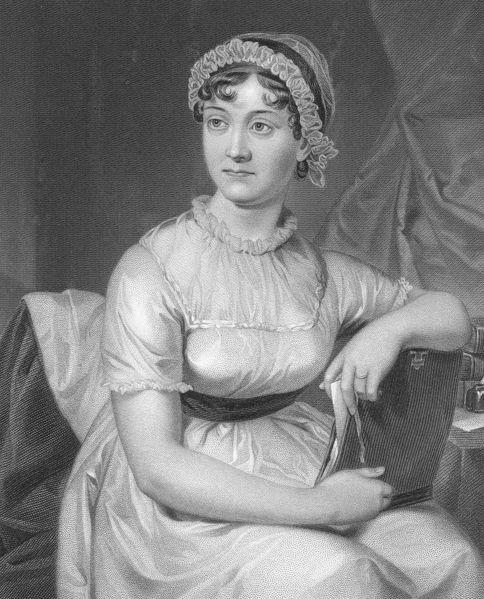 Jane Austen wrote stories that were socially relevant and she created what has evolved into the modern romance novel. Austen’s characters are regular young women who work through and against society to marry the men that they love. She made room for uncomplicated happily-ever-afters and love that wasn’t bought and paid for. Some people might rebel against the formal language and the trappings of Regency society, but that’s what creates some of the romance of the tales. C.S. 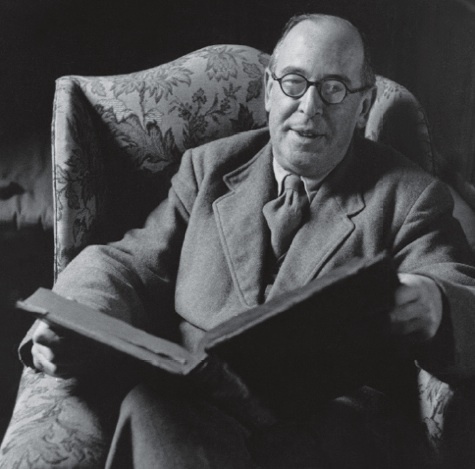 Lewis: Disney may have introduced me to the world of fantasy and myth, but C.S. Lewis made me believe in the power of imagination. On the surface, the premise of The Lion, The Witch, and The Wardrobe is quite absurd. Four kids find a hidden world in a wardrobe? Where it’s always winter and never Christmas? And the animals can talk? I primarily read realistic fiction, specifically historical fiction, but this series and this author hold a special place in my heart. I remember when I first read LWW, I was totally consumed by the story. Lewis has a powerful gift for story-telling that I can’t help but admire. At heart, they’re simple stories, but the extent of the world he created never fails to astound me. I know a lot of people will say that Tolkein did even more and wrote longer books and even created a language, but he never caught my interest like Lewis. Lewis reached out and made me part of the narrative. Even today, my little cousin insists (when watching the movies, as she is to young to read the books yet) that she is Lucy and I am Susan. I think the sign of a good author is one who can absorb the reader like this and keep absorbing them every time they read it. 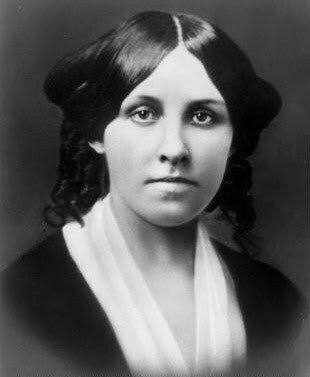 Louisa May Alcott/Laura Ingalls Wilder/L.M. Montgomery: I grouped these three ladies together because they were pillars of my childhood experience as a reader. On top of that, they are the ones who planted the idea of becoming a writer in my young brain. All three of them projected themselves into their main characters, so they all eventually became writers. I was enchanted by the imagery of Jo March sitting up in her little garrett writing late into the night and by Anne Shirley walking by the Lake of Shining Waters imagining stories. When I was 9, we took a road trip to Missouri and visiting Laura Ingalls Wilder’s farm house there. The coolest part was seeing the desk where she wrote all of her books. All I could think of was: did she know how many lives she would touch? What would it have been like to be her? Now I sit at my own little desk to try and send my books out into the world. 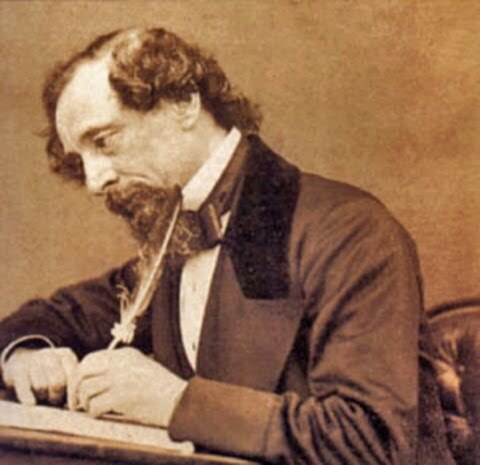 Charles Dickens: I don’t have much to say about Dickens, except that I am a huge fan. Academically, he and I have become good buddies and I anticipate getting to know him much better over the course of my career. I love the range of his works and the honesty he uses to present life in Victorian England. He very rarely pulls his punches, but he always manages to rescue his characters for a happy ending. And yes, he can be a bit wordy, but that’s what creates such great images, right? On to the modern writers! Meg Cabot: The brilliant, hilarious Ms. Cabot is one of the authors who has been a part of my reading list since I was a pre-teen and never really left it. I love her quirky, unique way of telling stories about real girls who deal with real issues. Not only does she tell her readers that they can be princesses and strong women, but she creates a balance between feminism and realism. I also admire her ability to creatively tell a story. In one group of books in particular (The Boy Next Door, Boy Meets Girl, Every Boy’s Got One), she tells the entire story through e-mails, journal entries, inner-office memos, and personal notes. She has a huge writing range and appeals to such a variety of readers. I want to be her when I grow up! 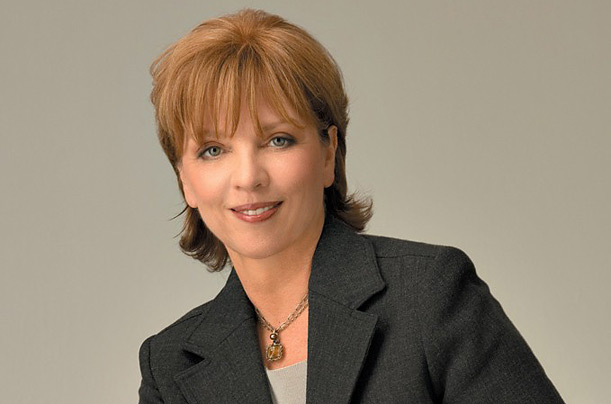 Nora Roberts: What I admire most about Nora Roberts is her longevity. 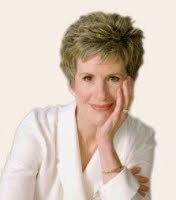 The woman has been producing NY Time Bestsellers for almost 30 years! Like most writers, she’s had some books that aren’t so great and kinda formulaic, but overall she still maintains a standard of being a compelling, interesting writer. I go through phases where I read her voraciously and then I move on, but I always come back. Right now, I’m especially addicted to her Bride Quartet that she’s writing. She knows her readers and she knows how to grab their emotions and make them a part of the story. Emotions are the key component to being a romance writer and she is a master. Stephanie Laurens/ Gaelen Foley/ Eloisa James: I include these three together because like the triad of writers from my childhood, they are the pillars of my historical romance reading experience. These women (to me) embody what it means to write historical romance. They use such vivid details and create characters that come out of the book and plant themselves in the readers’ mind. They have honed the craft of writing romance into a fine art. Writers like them are taking romance out of the 1970s bodice ripper stereotype and into the 21st century as one of the fastest growing genres in the world (I will address this in a later blog after I do a bit more research). For several years, I have read them simply as a reader, enjoying their novels (some of which I literally couldn’t put down). Now, I have begun to study them as a writer. I can only hope to be half as good as they are, but I’m going to try my hardest to meet the standard they’ve set. Susan Elizabeth Phillips/Catherine Anderson: These two ladies are my favorite contemporary romance writers for two main reasons. One: Their ability to create modern characters with integrity and honor that don’t give way to modern cynicism about love. It’s easy to buy into romances that are happening in historical novels because they don’t live in the same world that we do. Contemporary romance requires even more convincing and negotiating with readers’ acceptance of the characters. Two: Rather than jumping from fictional world to fictional world, most of their careers have been spent writing in a sort of serial form. SEP introduces characters as minor players in one novel and gets you attached to them, then she develops them into main characters you are already rooting for without having to force a connection between reader and character. CA takes this a step further and uses family as a connection. I also can’t help admiring the social issues CA tackles in her novels. Her heroines aren’t perfect. One is a paraplegic, another is blind. Several of them are abused. They are real. What writers have influence you? Who are you reading now? Some in common, some not. Jane Austen rocks – are there ANY other books for her era people still read and love today? I’m with you on the LM Alcott/Wilder/Montgomery triad – all of which I re-read periodically. Margaret Mitchell (GWTW), Harper Lee (To Kill A Mockingbird) – even though they only had one big book, WHAT books! Robert Heinlein, Marion Zimmer Bradley, Anne McCaffrey, Mercedes Lackey all had huge impact because they had interesting, strong characters (many of them female) doing powerful, thirlling things. Modern ro – for me started with Rosemary Rogers, and Bertrice Small. I like to flatter myself by thinking that I may have had some influence on your reading list over the years. 🙂 I would add Harper Lee (of course) and Larry McMurtry.